It's simple to send flowers to Springbok family and friends through Bloomable (formerly SA Florist)’s convenient website. Bloomable (formerly SA Florist) is an online shop that supplies fresh, beautiful flowers for all occasions. We have birthday baskets and colourful mixed vases featuring carnations, proteas, Inca lilies and more. Whatever favourite flower is required; our local florists can make it happen. Our cheerful bouquets are perfect for wishing congratulations or good luck, or welcoming a baby into the family. Choose traditional red or mixed roses for a romantic gift, or send an ever-popular bunch of daisies to celebrate friendship. We also provide floral arrangements to express sympathy. For sombre occasions, creamy mums and towering St. Joseph's lilies are classic choices. They also work well in baskets with a get well soon card or to express an apology. Of course, any favourite bloom can be delivered "just because." Our Springbok florist will provide the right bouquet for any occasion. In addition to providing Springbok flower delivery for all occasions, Bloomable (formerly SA Florist) also offers unique gift items to brighten a loved one's day. We have a variety of gift hampers with a collection of snacks like fresh fruit, salty mixed nuts, delicious chocolates and even a bottle of bubbly upon request. Try our Simply Sweet Hamper of juice, nuts and chocolates for a delightful treat that’s certain to please. At Bloomable (formerly SA Florist), we work with our own flower shops and professional florists instead of third-party outfits who skimp on quality to squeeze out extra profit. Supporting local economies is one of our prime objectives, and we use the latest technology to make it easy to order Springbok flowers online from any location. We’ll find the freshest flowers and best floral artists at a great price. 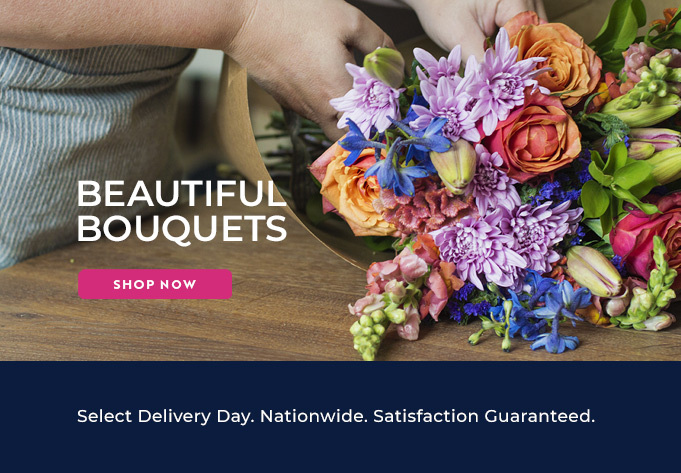 Try Bloomable (formerly SA Florist) online today and see the quality difference!